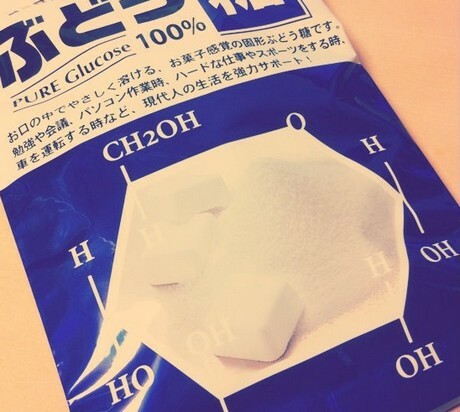 Glucose, a simple sugar (also known as monosaccharide), contains six carbon atoms, 12 hydrogen atoms and six oxygen atoms; giving it a chemical formula of C6H12O6. It is mainly found in the cells and blood of living organisms and is composed of molecules arranged in a hexagonal shape. Glucose is the major source of energy for the cells in the body and is the main type of sugar in the blood. Living organisms acquire it through the foods that are digested in the body and it can also be created through the body’s own production systems from other substances. Glucose is carried though the bloodstream into the cells and several hormones such as insulin, are in charge of controlling its level in the body. The body’s principal source of energy takes the form of glucose. Such kind of sugar emanates from the carbohydrates that are digested and into a chemical that the body can easily convert into energy. Diabetes and other serious conditions can be developed in the body when the glucose level in the bloodstream is not regulated properly. Living organisms get glucose mostly from digesting sugar, starch and carbohydrates. Foods such as pasta, rice, potatoes, grain, fruits, some vegetables, and a few processed sweets are categorized as carbohydrates. The digestive system, with the use of enzymes and bile, breaks down the sugar and starch from those foods into glucose. This functional form of energy is then absorbed through the small intestine into the bloodstream; wherein insulin, a chemical in the body excreted by the pancreas, meets the glucose. Glucose and insulin enter the cells in the brain and muscles together, allowing glucose to power activities such as communicating, running and others. Due to the fact that glucose is an essential form of energy, and interacts with both the endocrine and digestive system, retaining it at a normal range in the body is vitally important. This is because the body had adapted to sustain this ideal level by means of storing extra glucose in the body’s liver in the form of glycogen, in order for it to be reabsorbed once the glucose level drop. The body can also slow down or speed up the release of insulin. However, problems can arise at any step in the process in keeping the right amount of glucose that circulates in the blood. The body cannot function without glucose. The blood’s glucose levels are controlled by hormones, chemicals that are released to target certain types of cells. Insulin and glucagon are the two main types of hormones involved in the control of glucose levels; wherein both are being excreted by the pancreas. Hyperglycemia happens when there is an excessive amount of glucose circulating in the bloodstream and the pancreas releases insulin. Not having enough glucose in the bloodstream is referred to as hyperglycemia and the pancreas releases glucagon. The symptom of hypoglycemia, according to the American Diabetes Association, includes sweating, dizziness, pale skin and headache; while hyperglycemia symptoms include frequent urination and extreme thirst. When the blood glucose is consistently high, it results to a metabolic disease known as diabetes. Type 1 diabetes happens when the hormone insulin is not being produced in sufficient amounts and type 2 diabetes occurs when the hormone insulin is not performing its transportation tasks properly. The type 1 diabetes is normally treated with proper diet, exercise and insulin. Type 2 diabetes is generally related to changing one’s overall lifestyle and treated with weight loss, exercise, diet and glucose-lowering medications. About 90-95% of all diabetes cases fall into the type 2 category and can be prevented with proper fitness and nutrition. The development and progress of diabetes are still undetected so regular visits to the doctor is highly advisable, where the condition id often diagnosed by use of an hemoglobin A1C test. 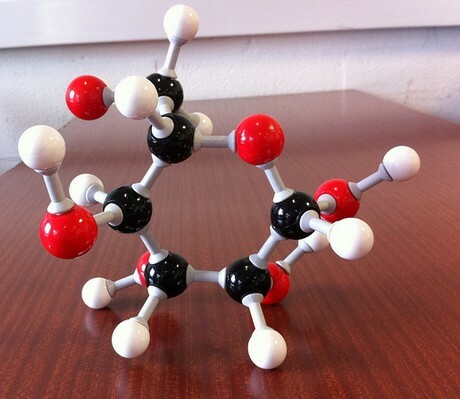 Glucose photographs: Glucose molecule model by Distillated; Bag of Glucose by Naokisatoname. Useful Information: Elmhurst College; Diabetes Discussion; Wikipedia.